Summerset Chapter will be released on June 5. Few organizations in Tamriel are as secretive and mysterious as the Psijic Order. Now, they’ve returned to Nirn after centuries of self-imposed exile to investigate a crisis that threatens to unravel the future of Tamriel. Join this ancient society of mages, learn their ways, and gain incredible new abilities that allow you to bend time itself! Should you join the order, you’ll have access to an all-new Skill Line that includes new Active Abilities, new Passive Abilities, and a powerful Ultimate. Below are just a few of the powers that you’ll weild as a member of the Psijic Order. Freeze the passage of time at a specific location. Should you catch your enemies within this ability, they’ll be slowed and eventually frozen in place, giving you the opportunity to make your move! Focus your mind and body into a deep meditative state. While active, you will restore Health, Stamina, and Magicka over time. Perfect for those who want to reflect upon and recover from a tough fight. Become a true master of time and step backwards into the past to instantly reset your Health, Magicka, and Stamina to what they were only four seconds ago. If the battle isn’t going your way, reset the board! 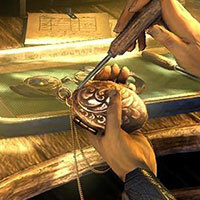 Forge potent new gear with Jewelry Crafting and bolster your power with handmade rings and necklaces. Make sure you’re always wearing your best—you’ll need every advantage you can get. 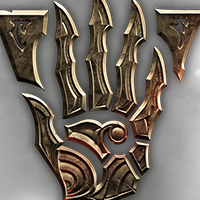 The next DLC for ESO is coming in August and it’s called Horns of the Reach. Horns of the Reach is a small dungeon-based DLC which contains the following. Bloodroot Forge and Falkreath Hold Group Dungeons. New item sets including two new Monster Masks. New achievements, boss collectibles, and titles. Complete all Horns of the Reach achievements to earn exclusive costumes and a new dye. Falkreath is under siege, and it soon will fall to the Minotaurs and their Reachmen allies. Falkreath Hold, one of the two new dungeons found in the Horns of the Reach DLC game pack, pits you and your team against the hordes of the Dreadhorn Clan in a desperate attempt to save the city. After completing both Falkreath Hold and Bloodroot Forge on Veteran difficulty, you’ll unlock the ability to purchase the Hakkvild’s High Hall home with gold. This new Nord-styled manor gives you a perfect view of the town you just saved. If you have not completed the dungeon, you can still purchase it with crowns in the in-game Crown Store. All PC and Mac players who purchase the Digital Upgrade version of the Morrowind Expansion will have the option to begin their adventures in Vvardenfell a little early on Monday, May 22! This means you’ll be able to play the full game on the live megaservers beginning on May 22 and will retain all progression when the game officially launches in June. This offer is available for players who purchase the Digital Upgrade or Digital Collector’s Edition Upgrade versions of ESO: Morrowind for PC/Mac any time prior to launch. 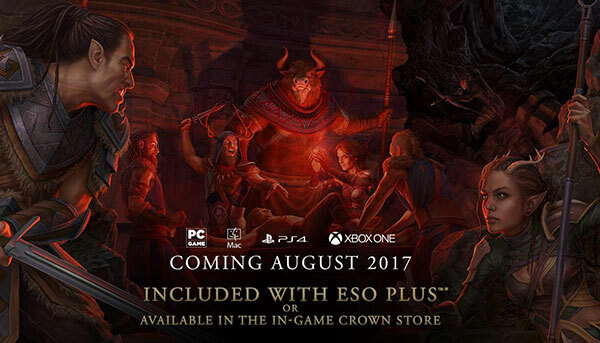 Check out this article from ZOS to get access to the early launch date.